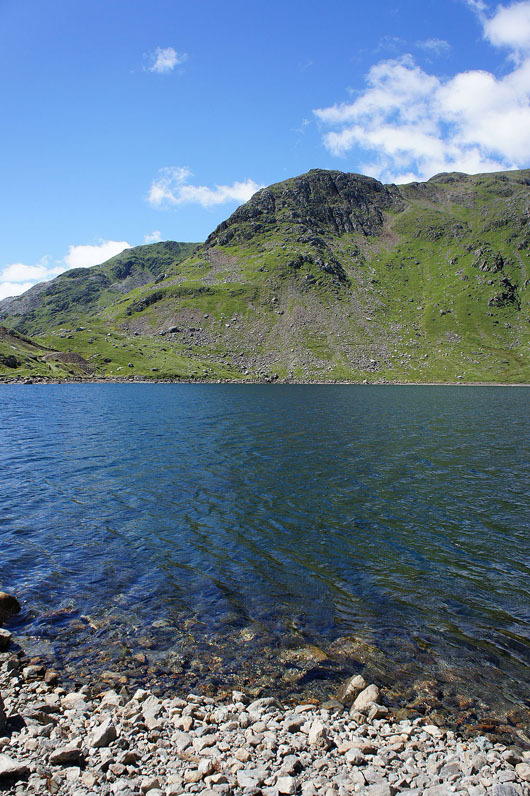 A great day for a walk in the Lakes. 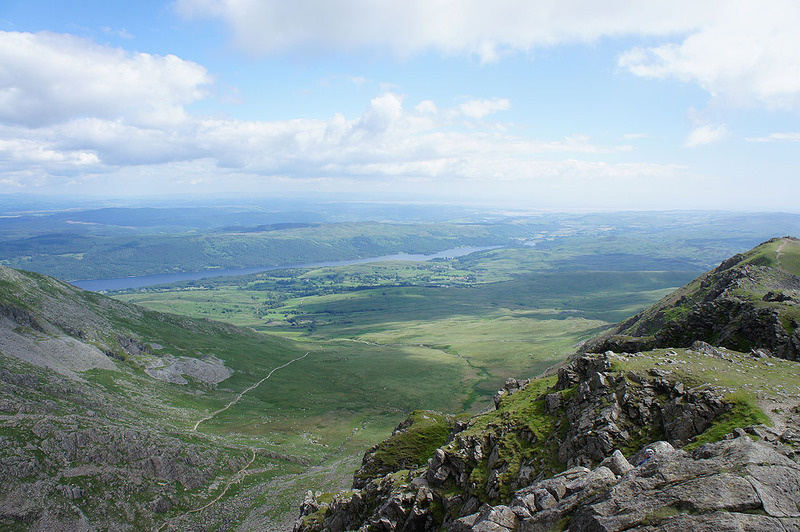 Warm sunshine and light winds for the most part though it did cloud over a little on Brim Fell and the Old Man of Coniston and a breeze picked up. 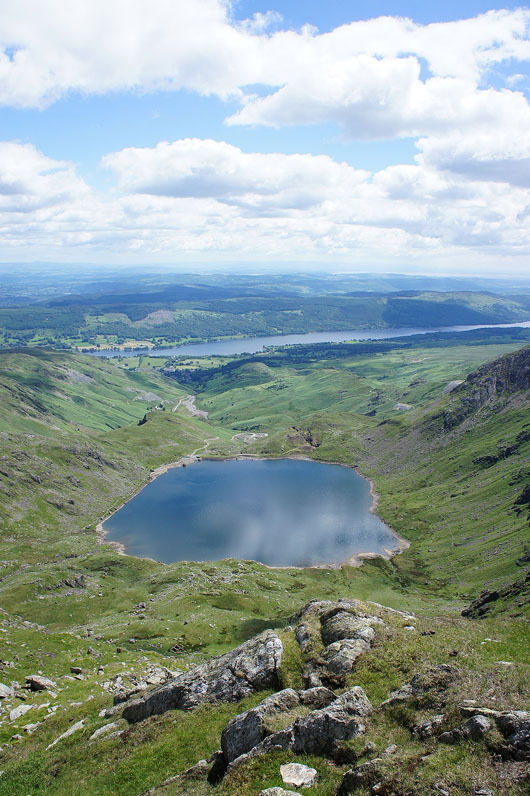 It's now nearly ten years since I first visited Coniston and set off to climb my first Wainwright, the Old Man of Coniston. 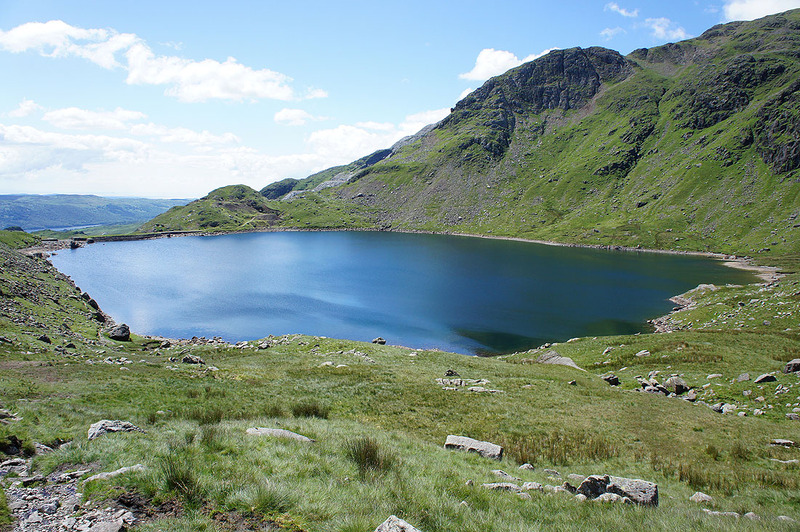 I may be back in September for an anniversary walk. 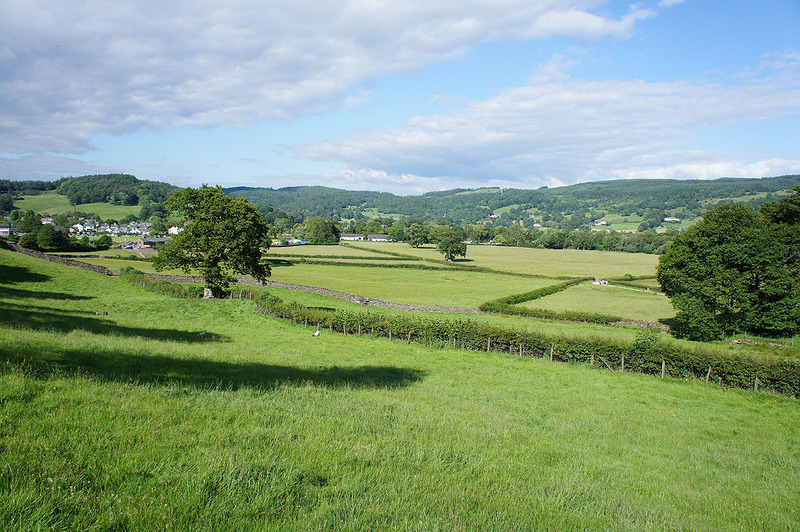 From the main car park in Coniston I walked through the village and up the lane past the Sun Hotel to take the track signposted for the Old Man. 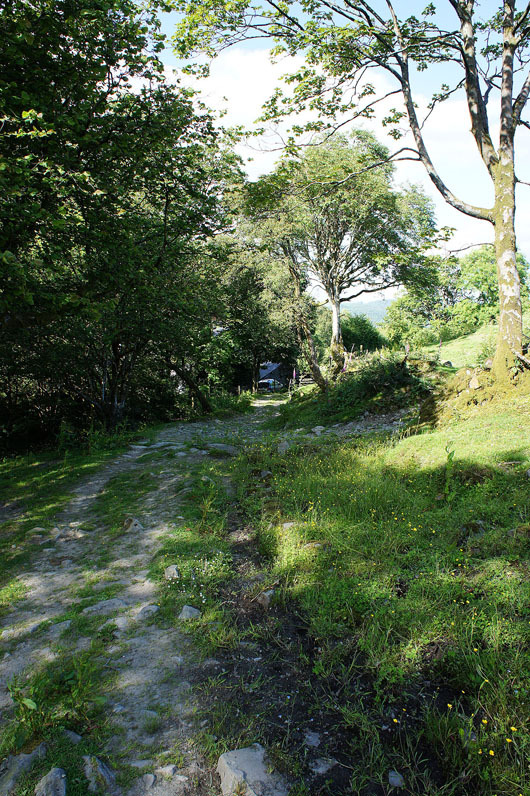 When I reached the Miners Bridge I crossed over and continued to the Youth Hostel. 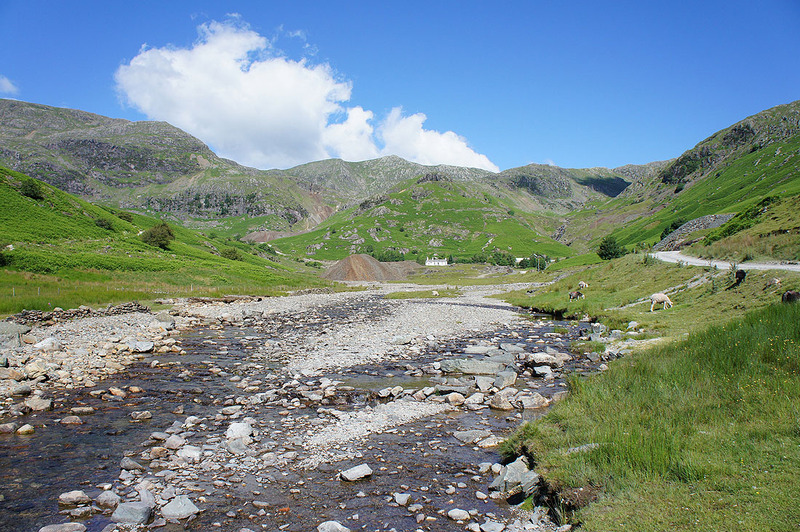 I had a short walk up by Red Dell Beck to have a quick look at some mine workings before crossing over Kennel Crag to Levers Water. 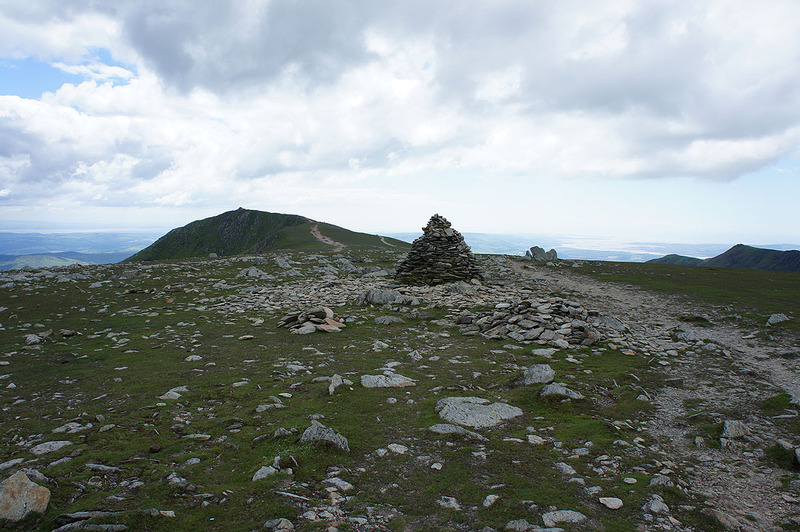 I then made my way up to Swirl Hawse and up Prison Band to the first summit of the day, Swirl How. 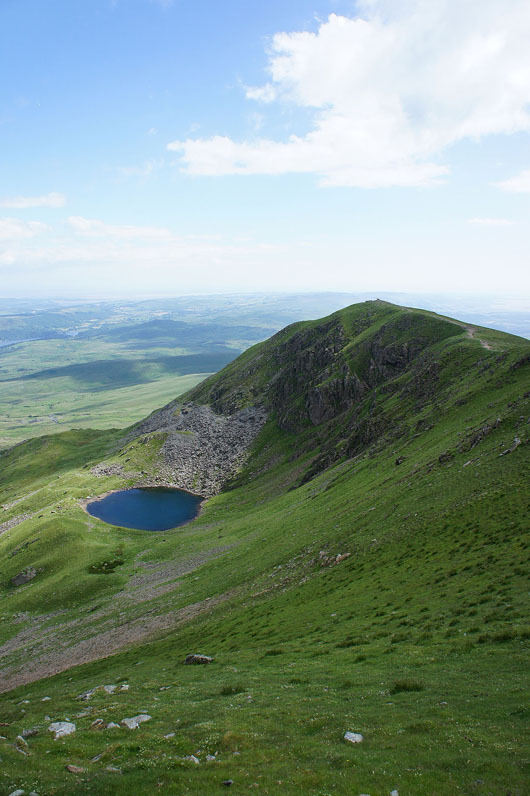 A ridge walk south over Brim Fell and I arrived at the Old Man of Consiton. 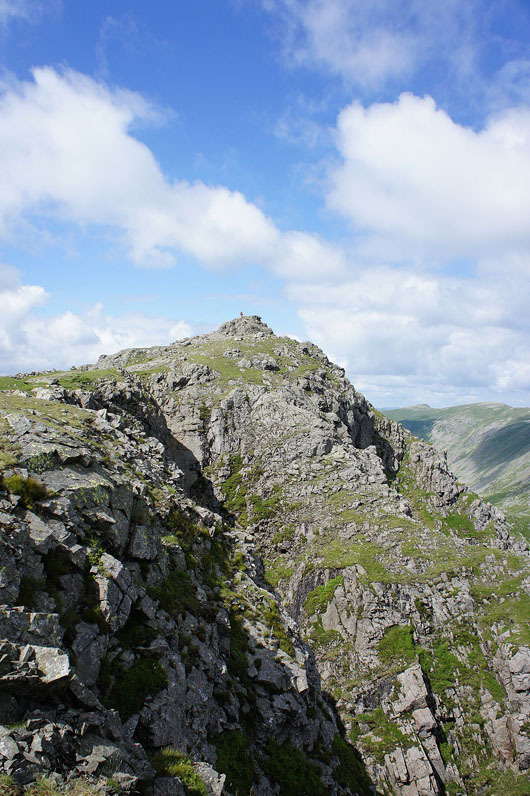 From the Old Man I went down to Goat's Hawse and then up to the next summit of the day, Dow Crag. 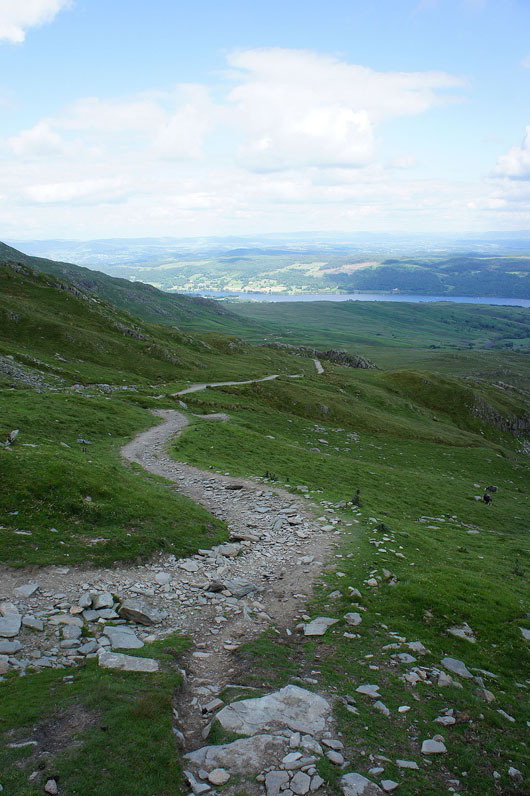 I then followed the ridge south over Buck Pike and Brown Pike to the Walna Scar Road. 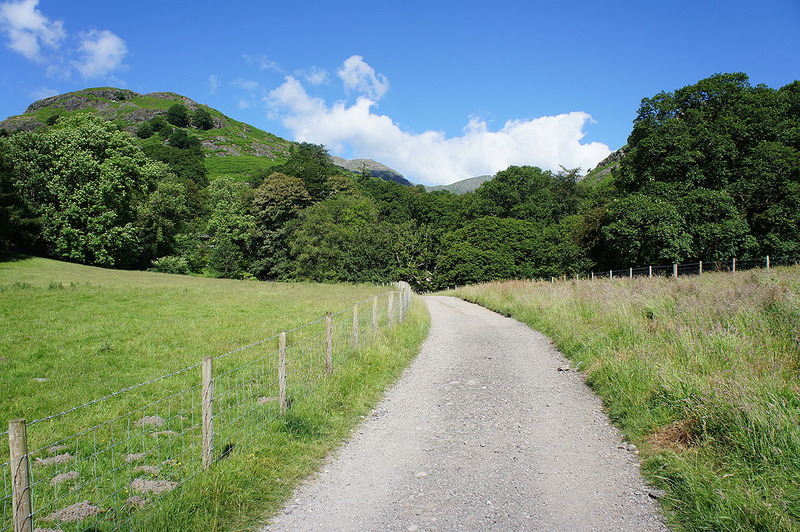 To get back to Coniston I followed the Walna Scar Road all the way to the gate where the tarmac begins, a footpath and bridleway to Bowmanstead and a short walk by the main road. 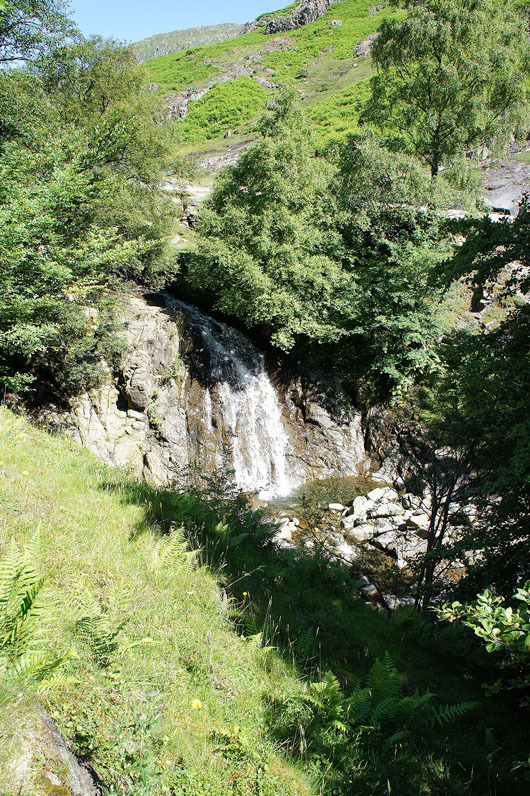 The fall on Church Beck just below Miners Bridge. I'm going to cross the bridge, if you're heading for the Old Man don't. 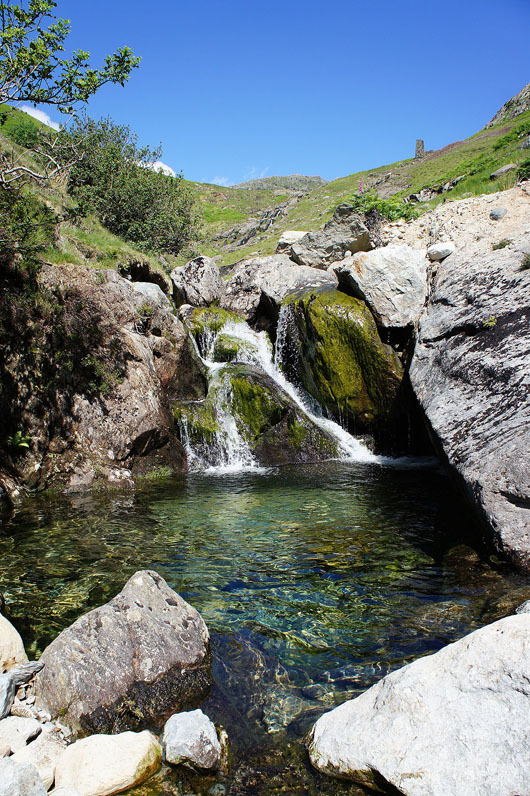 Levers Water Beck and the Coppermines Valley. 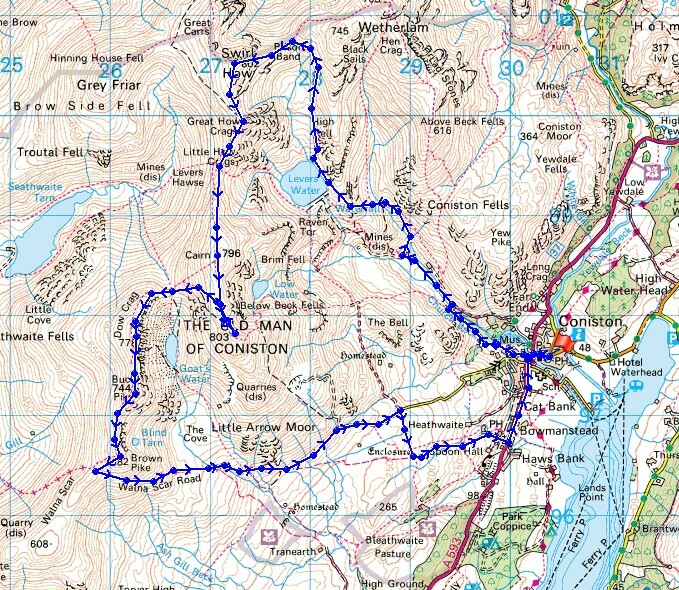 I'm going to head up the valley to the right of the Youth Hostel. 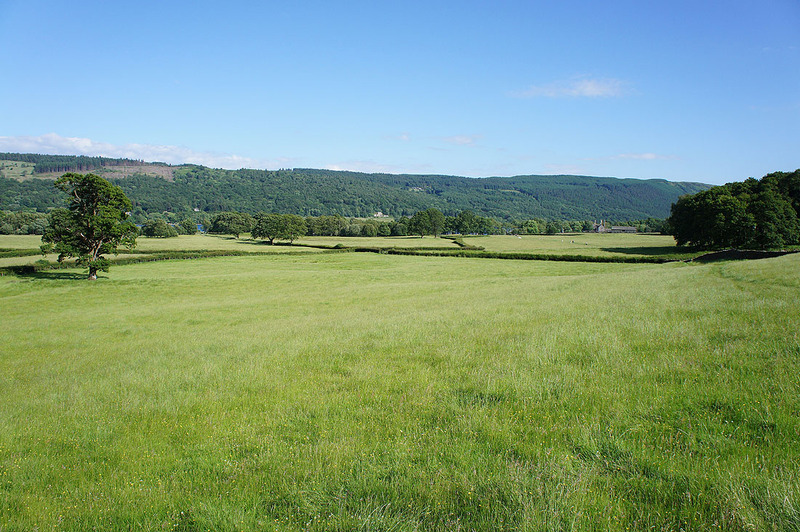 The valley of Red Dell. 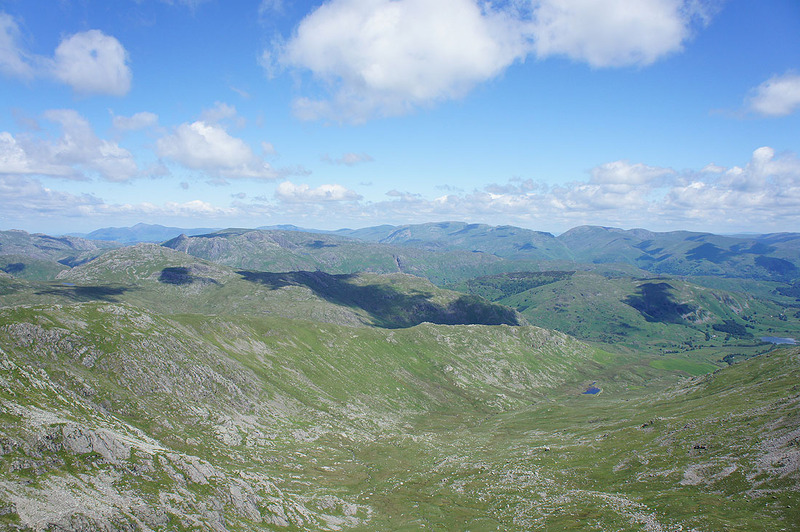 Bounded by the south ridges of Black Sails on the left and Wetherlam on the right. 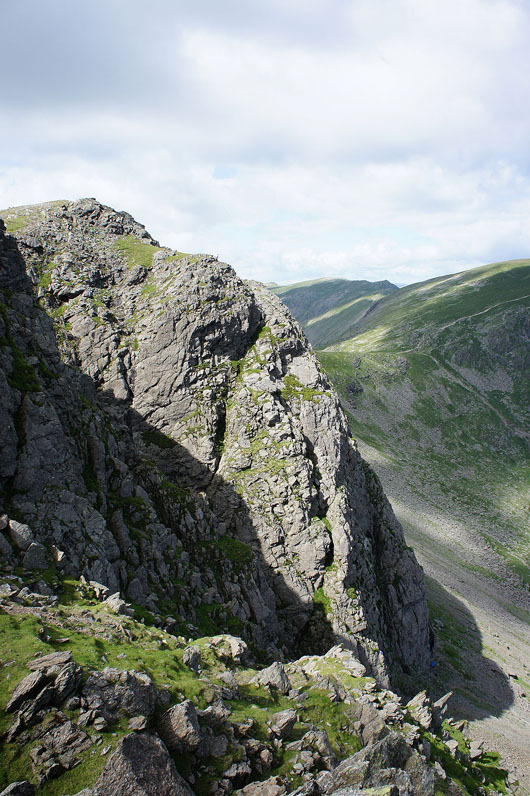 I'm going to cross over the south ridge of Black Sails above Kennel Crag to reach Levers Water. 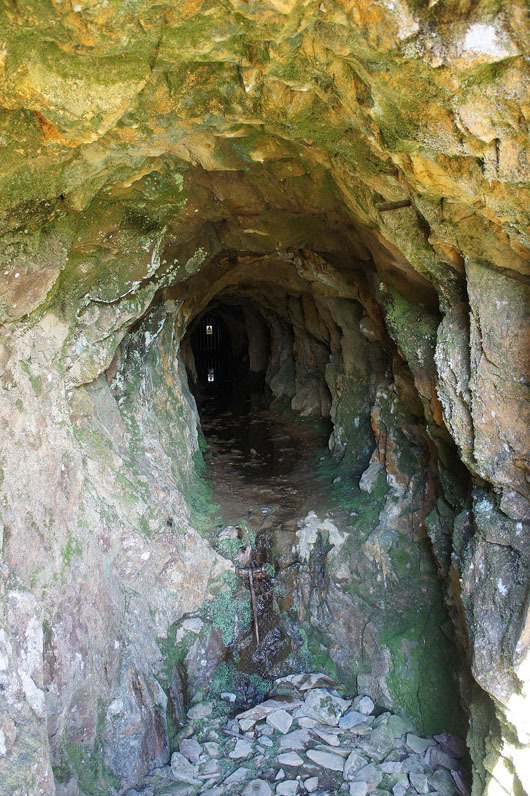 There is a lot of evidence of quarrying and mining. 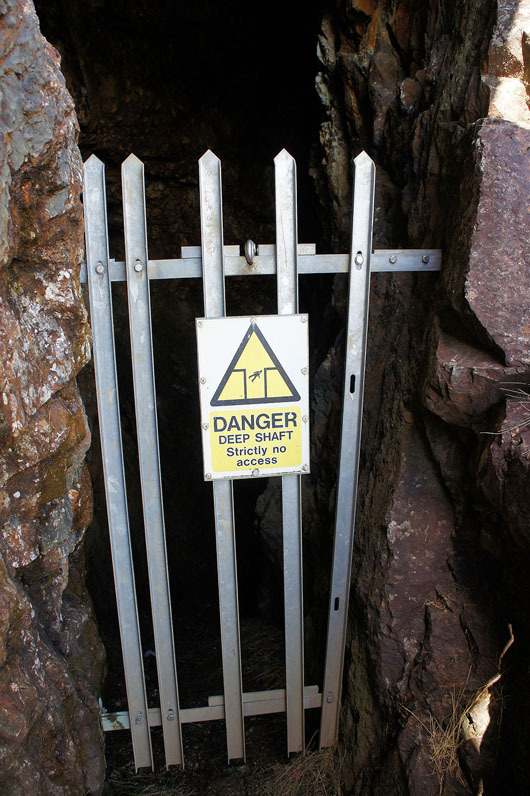 A couple of levels passed as I head uphill and they encourage you to stay away. 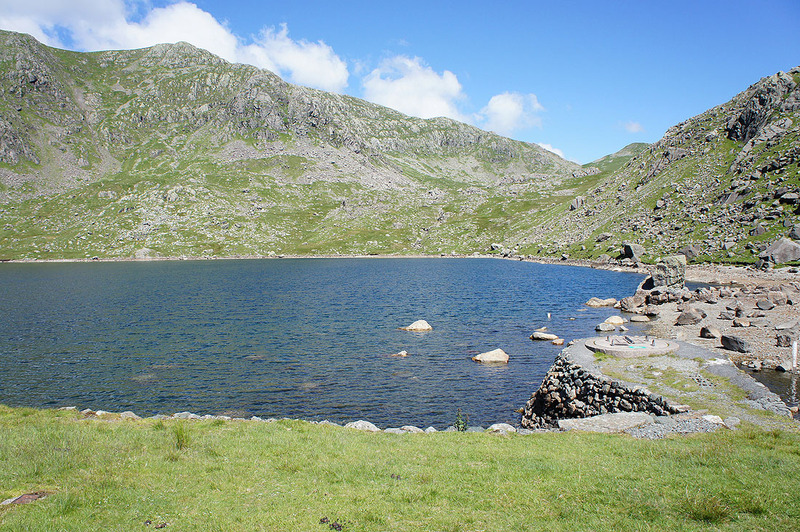 By Levers Water. 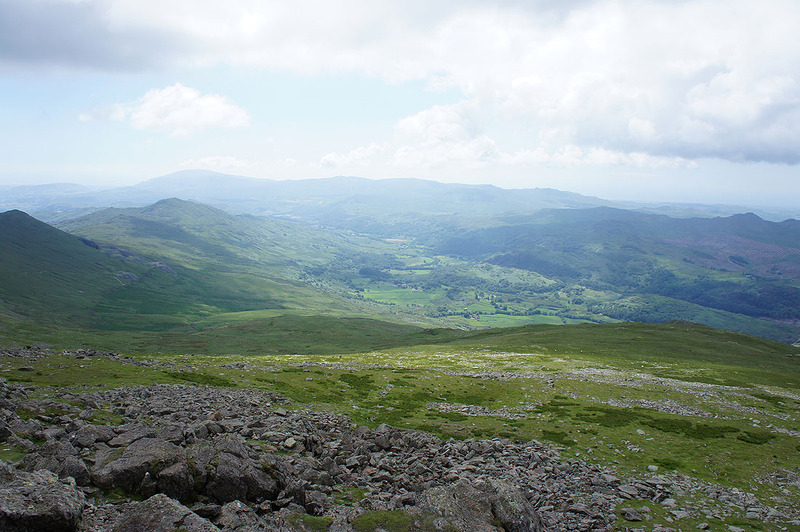 Swirl Hawse is up the valley on the right. 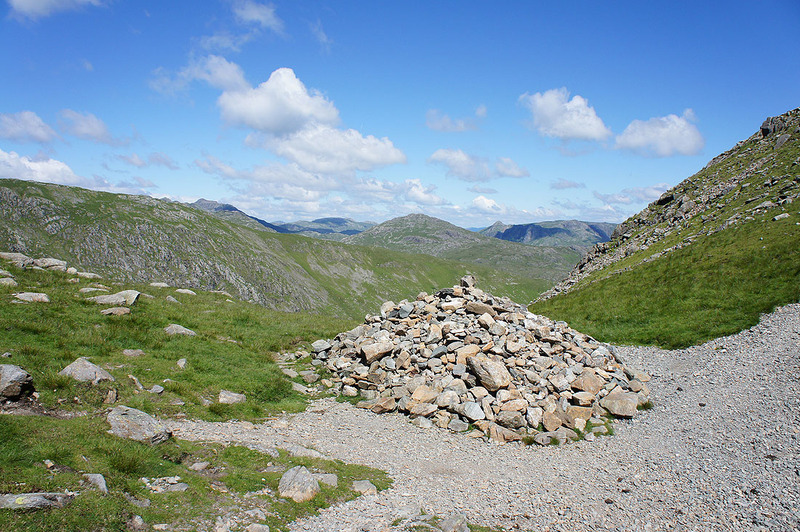 The large cairn at Swirl Hawse. 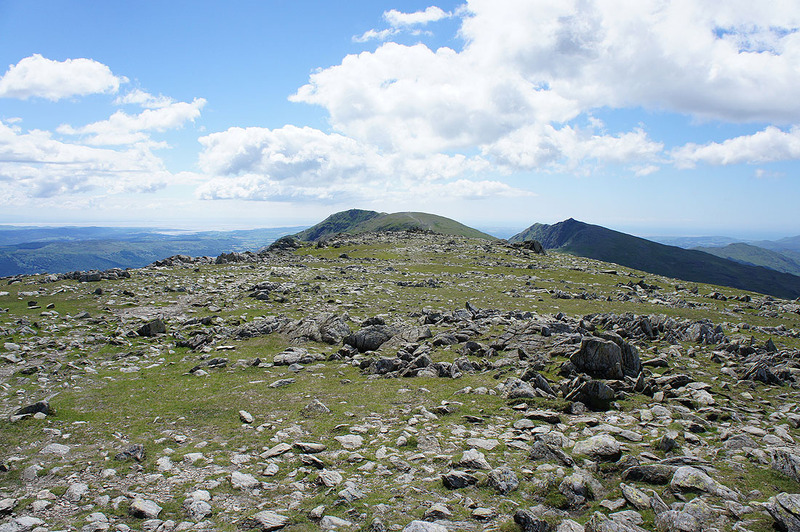 An ascent of Prison Band to the summit of Swirl How to come. 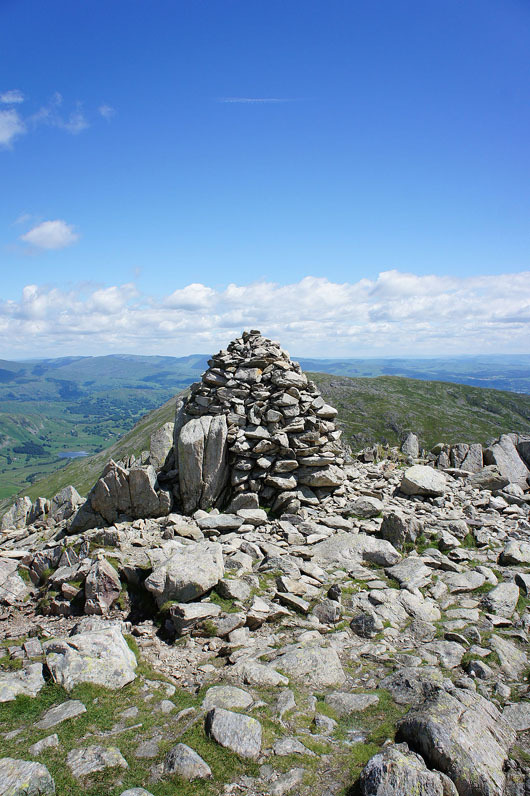 On the summit of Swirl How. It's a great day to be up here. 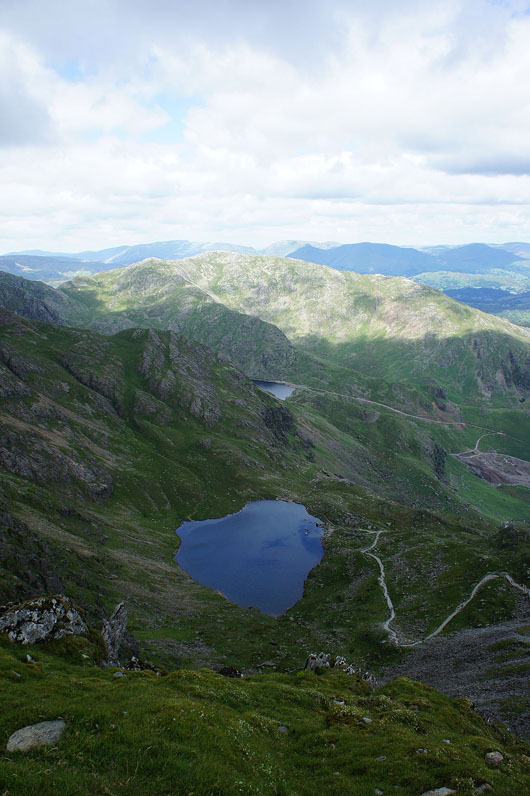 A fantastic all round view. 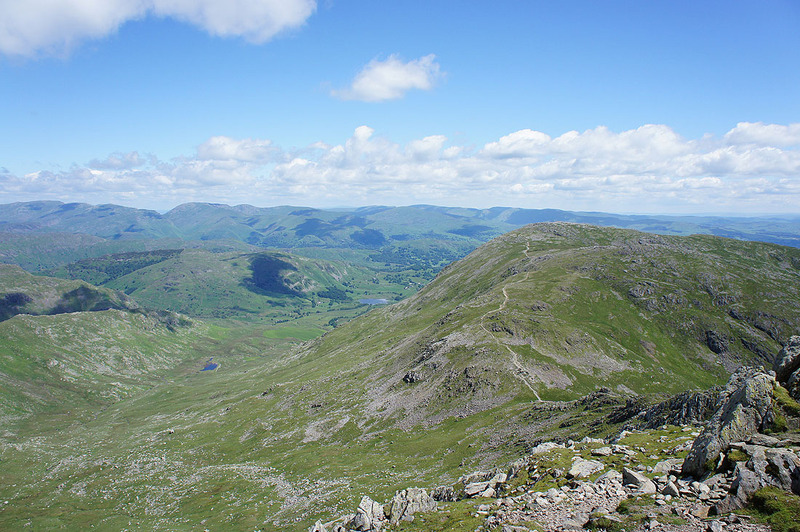 Beyond the nearby Great Carrs are the Scafells and Bowfell. 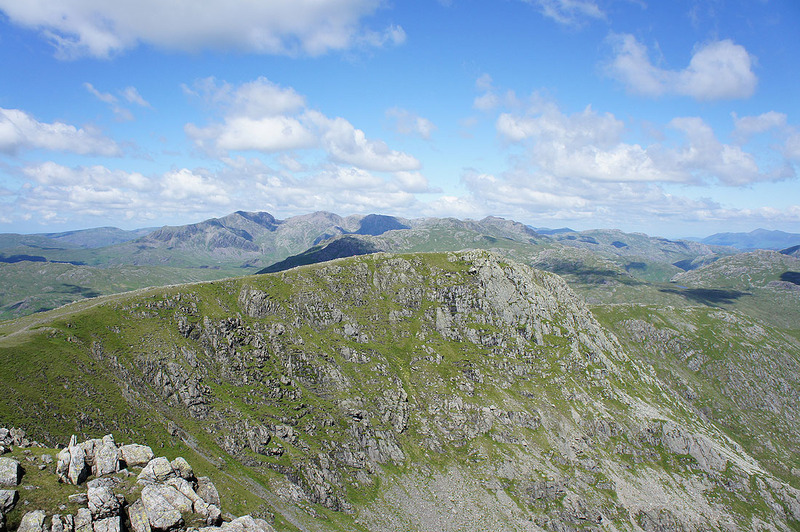 Pike o'Blisco, the Langdale Pikes and a distant Skiddaw. 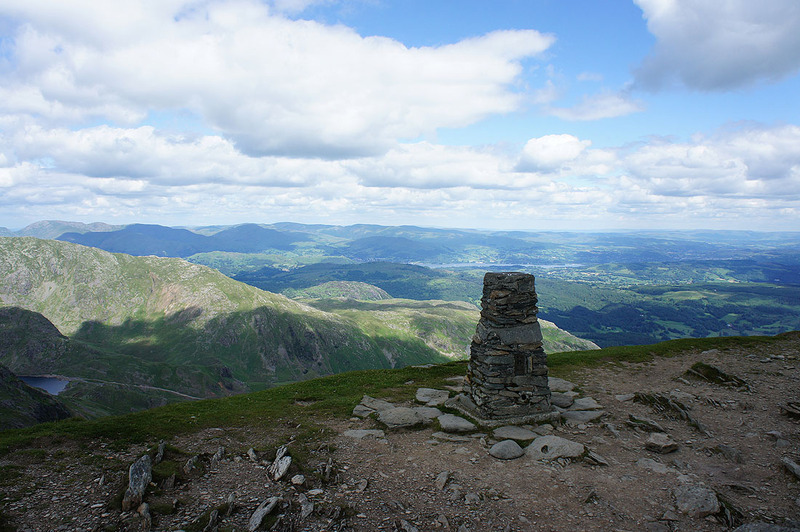 Helvellyn, Fairfield and Lingmoor Fell. 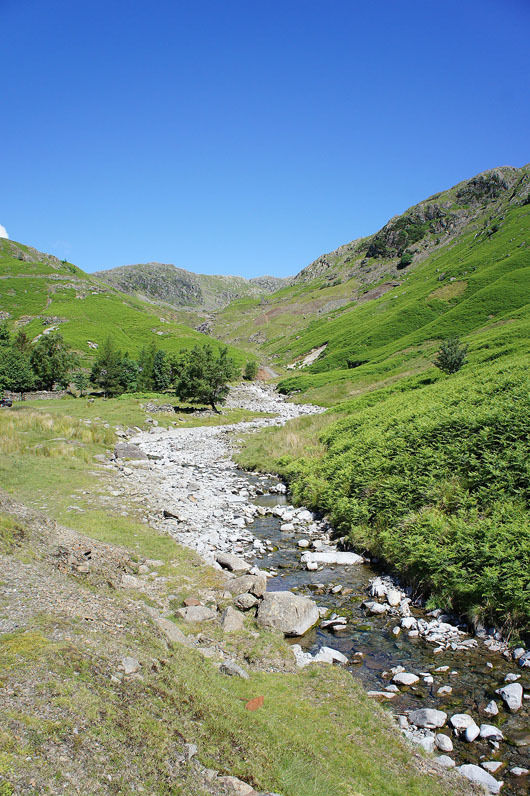 The Greenburn valley runs down to Little Langdale. 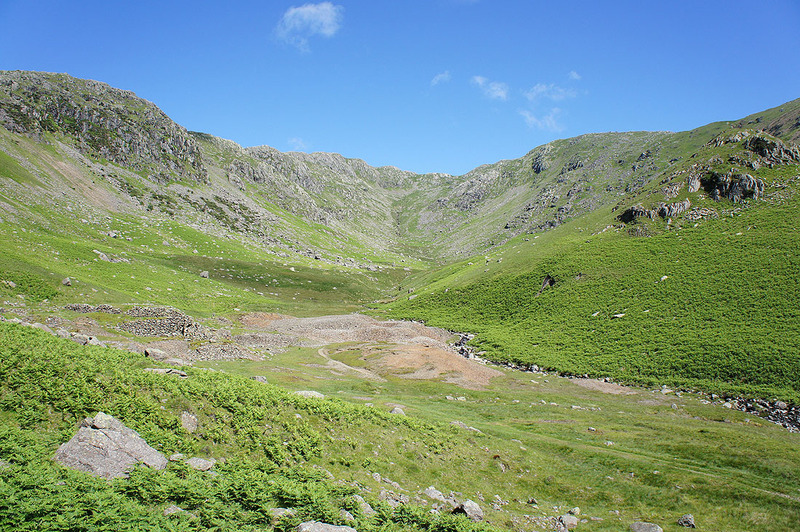 Fairfield, High Street and the nearby Wetherlam. To the south is my onward route. 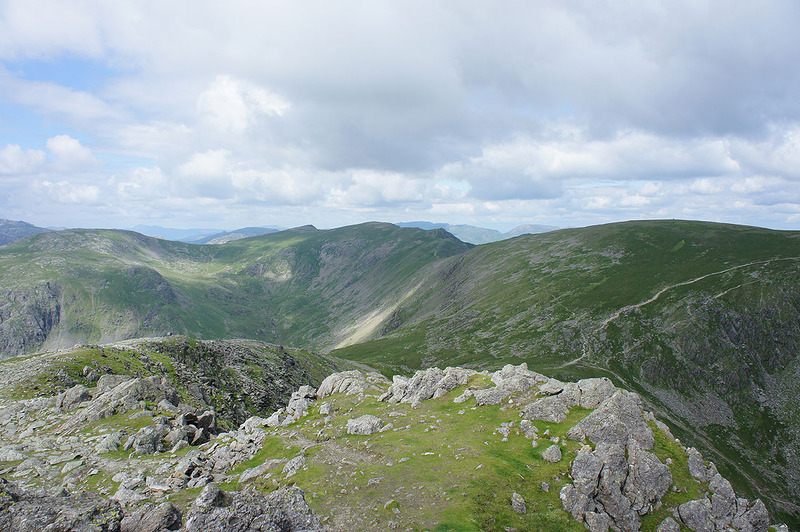 The whaleback of Brim Fell, the Old Man just to its left and then Dow Crag to the right. 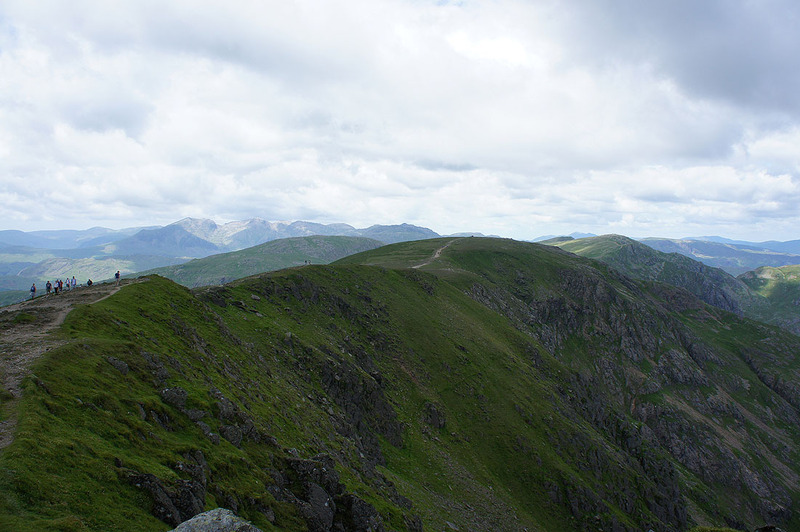 A worthy halt at the top of Great How Crags. 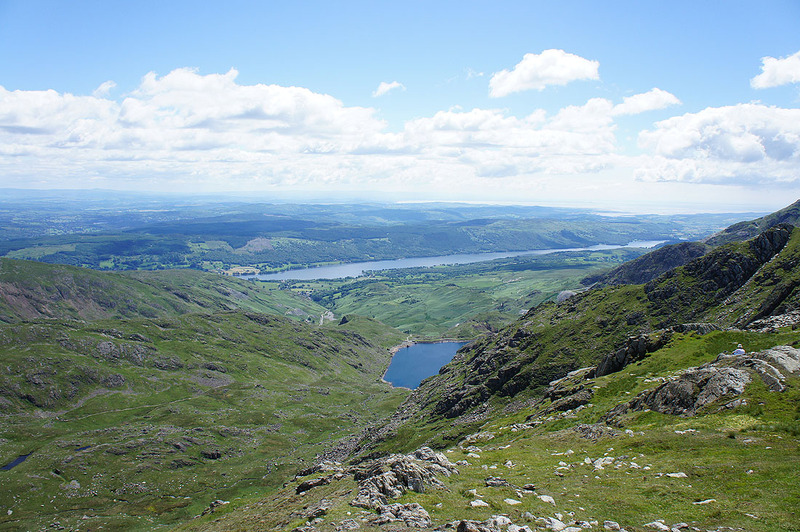 Levers Water and Coniston Water. 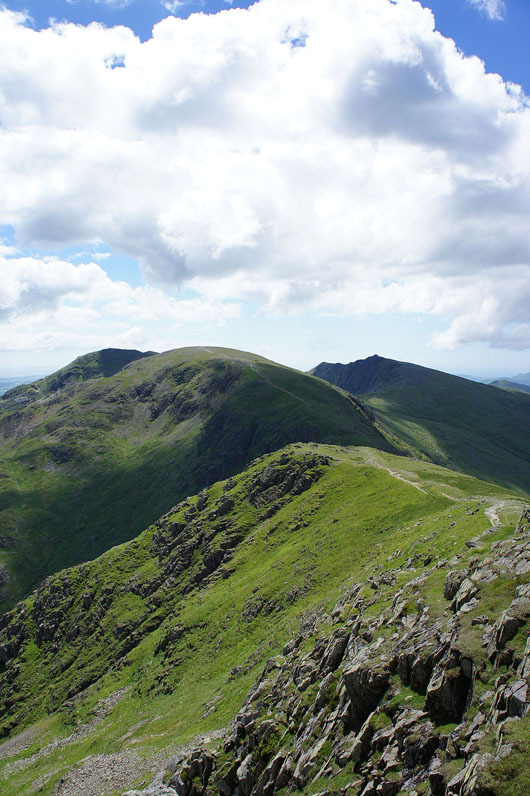 The Old Man, Brim Fell and Dow Crag. 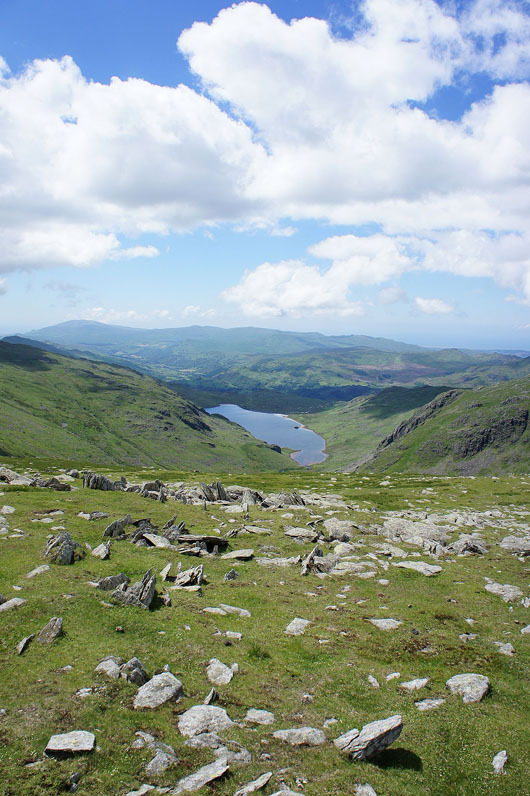 Seathwaite Tarn, the Duddon valley and Black Combe. 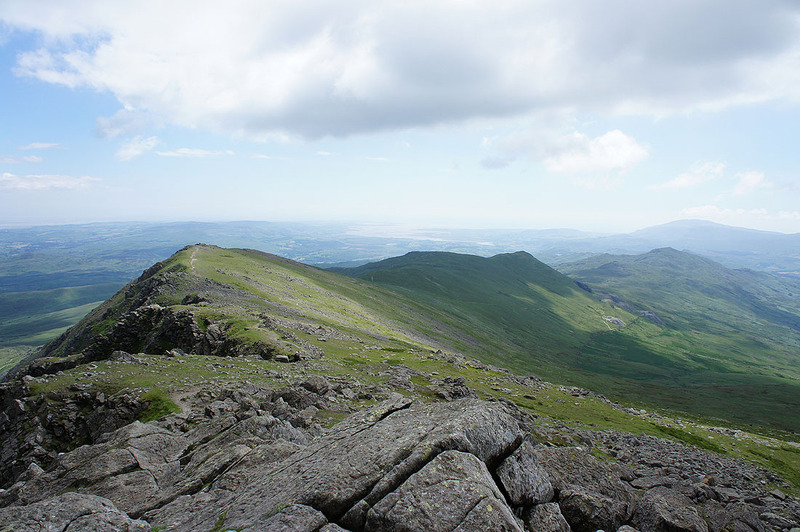 On the summit of The Old Man of Coniston. 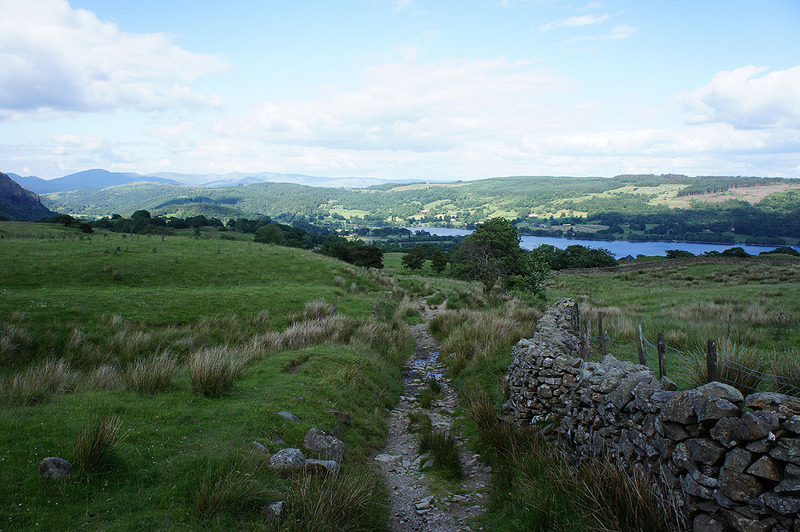 Views across to Fairfield, High Street and Windermere. 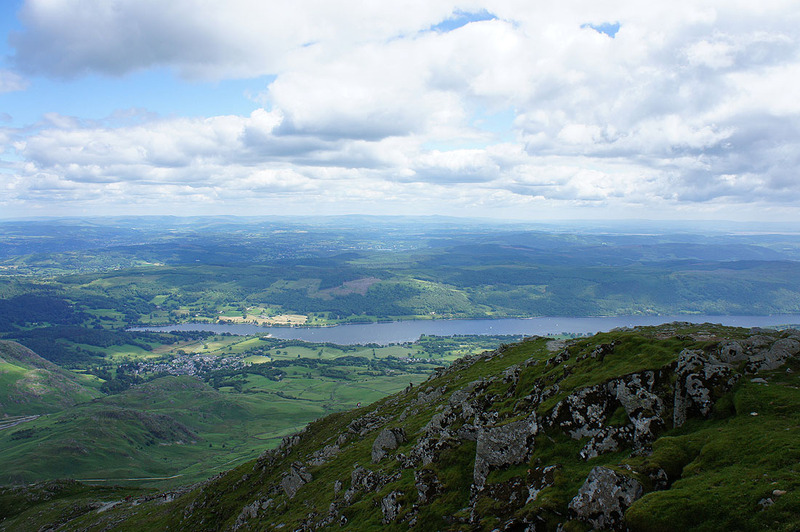 Coniston Water below and with the good visibility today I can see all the way across to the Howgills, Ingleborough and the other western fells of the Yorkshire Dales. 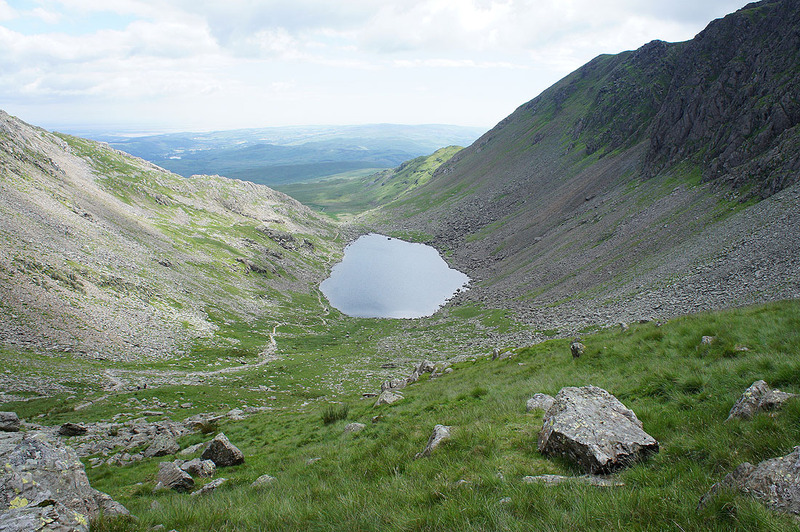 After the busyness of the Old Man it's fairly quiet on Dow Crag. 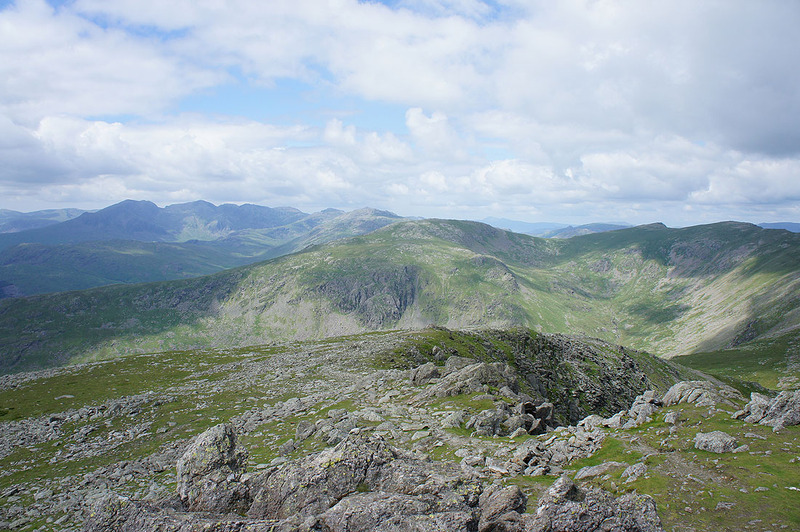 The Scafells, Esk Pike, Bowfell and Grey Friar in view. 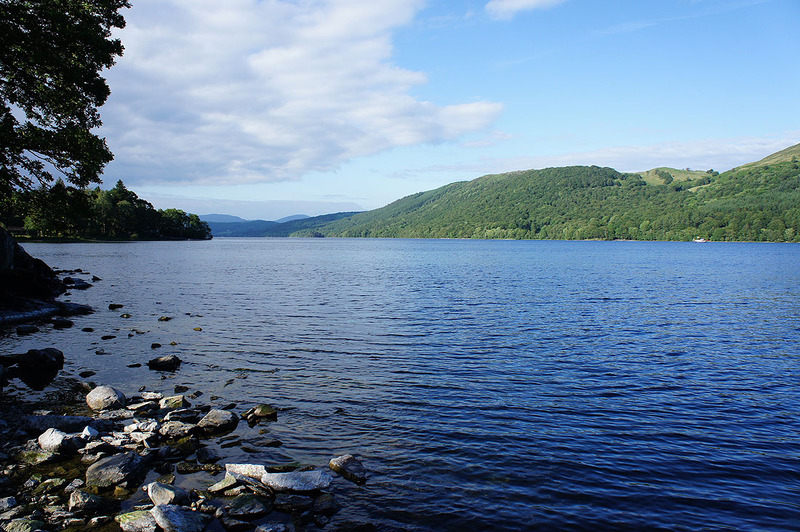 It's a beautiful end to the afternoon just outside Coniston.. 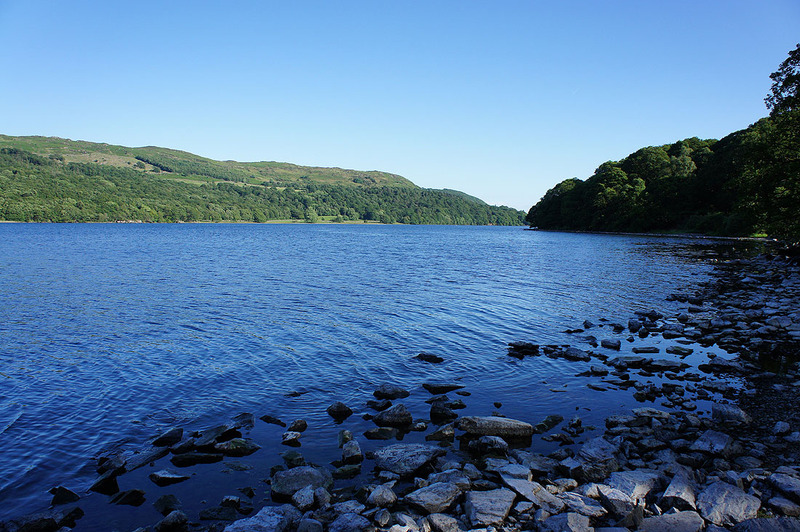 I took a different way home and drove down the road along the western shore of Coniston Water. A layby gave me a chance to stop and capture the view.